Website hacked? Are you worried that it might be? More importantly, would you even know if it is? Are you a website hacking target? 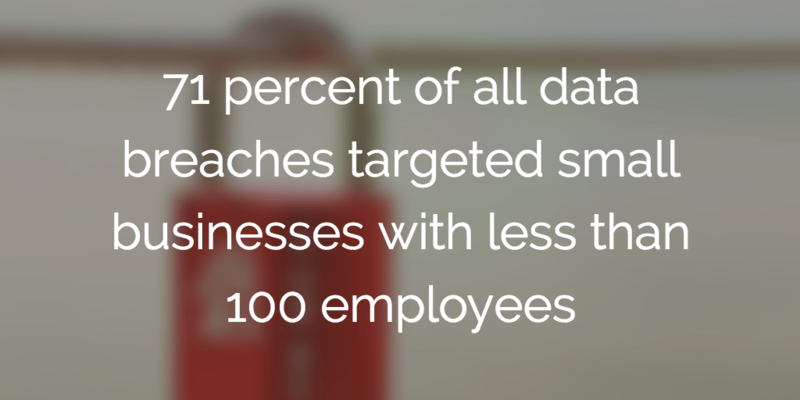 You might think that your business is too small to be hacked. And what are they after? Your data. Websites are the gateway to customer data, patient data, and credit card data. These are tempting targets for cyber criminals. Why does a hack cost so much? 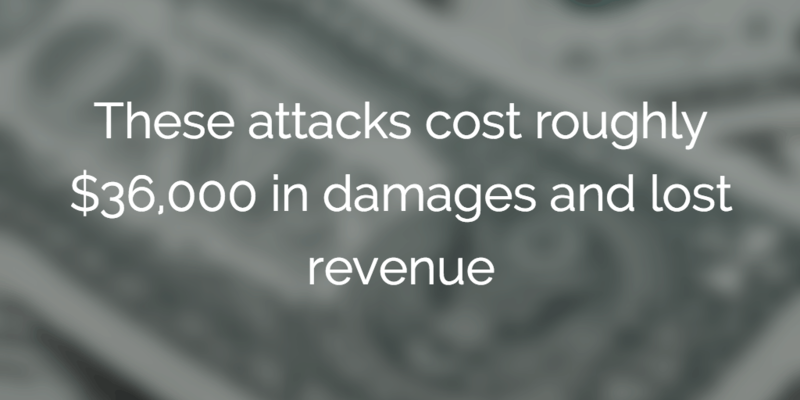 If your website is hacked, there’s a lot of things that you’re going to pay for out of pocket. But that’s just the tip of the iceberg. If the hackers get to any of the DATA that sits behind your website, you’re going to be in a world of hurt. And that’s to say nothing about the soft costs. Having to notify your customers or patients is not just a hassle, but damages your reputation. Maybe you think your web hosting company will protect you? That they have everything in place to stop a website hack? Sadly, this isn’t true. A simple search for popular web hosting services turns up lots of horror stories. My point is not to beat up these vendors. Cyber security is hard. It is NOT ENOUGH to assume that your website hosting company will protect you from hacking. Unfortunately, no big alarms will go off when hackers attack your website. But if you pay attention, you can watch for signs of an attack. 1) Monitoring for unusual changes. The team at AtlanticBT recommend that you look for “strange content” showing up on your site if your website is hacked. Pages you didn’t write, links to weird websites, etc. Want to get notified any time your site changes? Here’s a fantastic free tool. Change Detection is a free service that been available for years. Enter the pages to monitor and the email address to alerts when pages change, and you’re good to go! The site isn’t much to look at, but you can’t beat the price. When one of your pages change (because your website was hacked or because of changes you make), you’ll get an email or RSS alert. It not only tells you that the page changes, but it will tell you WHAT changes. So you can go back to your website team and check whether they actually made the change or not. During a website hack, your website might go down. Hackers might flood your website with so many fake visitors that it’s not available. It’s super easy (and free!) to set up a robot that checks your website every few minutes to make sure it’s still alive. We use a free service called StatusCake. They offer a free tier that confirms that your site is still alive every few minutes. Once you create an account, you want to create a test. You can leave everything else as the default, and then click “Save Now” at the bottom of the page. Now you’ve got a little robot that’s visiting your site every 5 minutes or so. If your website is hacked and it’s down, the robot will send you an email. Google’s Safe Browsing program does a wonderful (and free!) job of keeping track of websites that it knows are compromised. That’s Google’s safe browsing program alerting you to a hacked website. Step 1: go to https://www.google.com/webmasters/tools/ and enroll your site. Have someone check this once a month or so to make sure that there aren’t any problems with your site. 4) Google FTW Part 2! A few years back, Google bought a super cool service called Virus Total. Think of it as a giant database in the sky of every virus, Trojan, and compromised website that exists. It’s incredibly easy to use. Enter your website, and click “Scan it”. 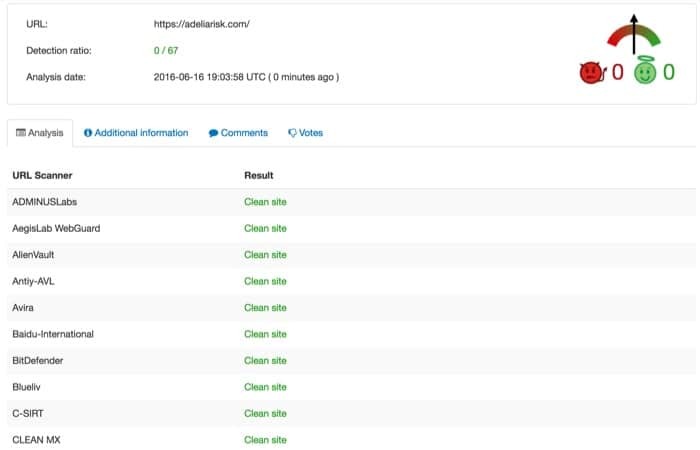 In a matter of seconds, VirusTotal scans your website against 67 different virus scanners. Again, check this once every month or so to see if you have any issues. Keep an eye on these. If you see a sudden spike in one or the other, it could mean that you have a hacked website. 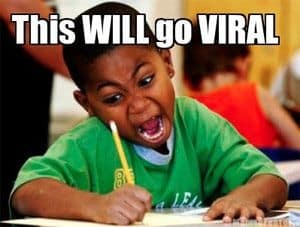 Or it could mean that one of your videos has gone viral! 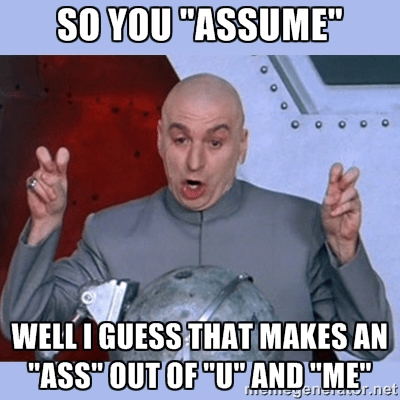 Also, keep an eye on your error logs. A sudden spike in errors either means you’re under attack or there’s something wrong with your site. Error logs work different from every web hosting company, so reach out to them to find out how they work. Despite what the last result says, not every website needs a Website Firewall. If you host customer/patient data on your website, then you do. Or if you can’t afford for your website to ever be down, then you should definitely consider a website firewall. Sucuri does a great job of removing malware from compromised sites if you do get attacked. Sucuri also sells an automated service that monitors your site. If it finds a problem, it fixes it automatically. You need to start paying attention to your site on a regular basis. If you don’t have time, ask a member of your team to do it. Want help making your business more secure? Reach out to talk with an Adelia Risk consultant. Now it’s your turn. Have any other tips to share about monitoring your site from hacking? Any horror stories about your site being hacked? Leave them in the comments below.